Wimbledon Championships 2012 start in a few hours. Ahead of all the excitement, Tennis Boulevard shows you how players have prepared and what they expect of the tournament. 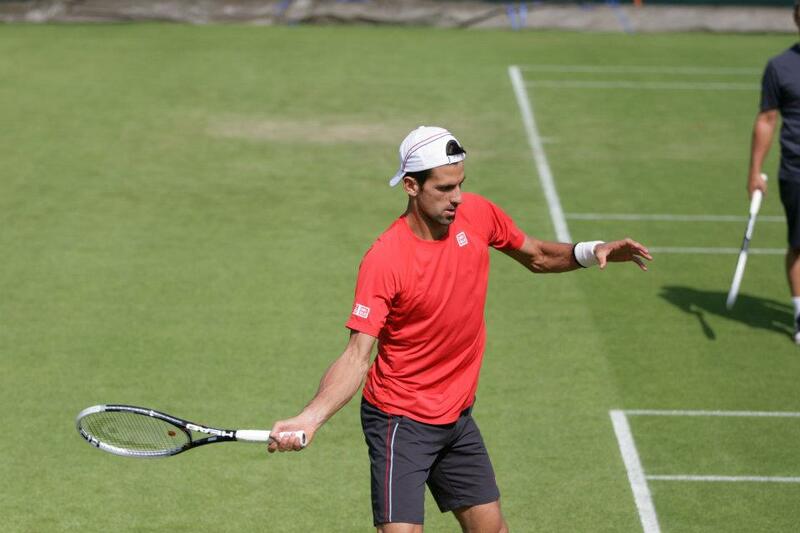 Defending champion Novak Djokovic is prepared to eat the grass if necessary to win another Wimbledon title :) The Serbian says he is "feeling better than ever". “I’m playing with more self-belief on this surface,” admitted Djokovic in the traditional Sunday press-conference, where he previewed his participation on the Championships. Sunday night, "Nole" wrote a long post on his Facebook and explained to his fans some of Wimbledon's traditions. "The great thing about Wimbledon that I really appreciate is the tradition that is respected and protected for more than 130 years. We still wear only white clothes during the tournament, and the defending champion always plays at 13h00 on Monday", he said, ahead of his first Championships match. The world Nº1 also emphasized that he and his opponent Juan Carlos Ferrero will be the first ones to play on the "perfect grass". "Nobody played there since last year :)", added. Another tradition is the defending champion's press conference, which always happens on "Sunday at 12 o'clock". 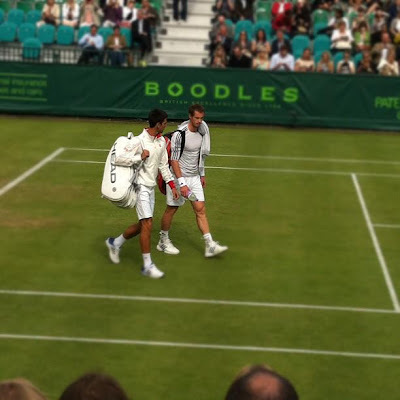 Novak hasn't played any Wimbledon warm-up tournament, but he was one of the first players to arrive in London so that he could have time to practice and adjust to the court surface. He did enjoyed a good time in the Boodles exhibition event on Thursday, 21 June, beating Andy Murray in straight sets. Ladies defending champion Petra Kvitová will also have the honour to open play on Tuesday, 26, in Centre Court, as it happens every year to the women's defending champion. Her parents Jiri and Pavla will be watching from the Royal Box. 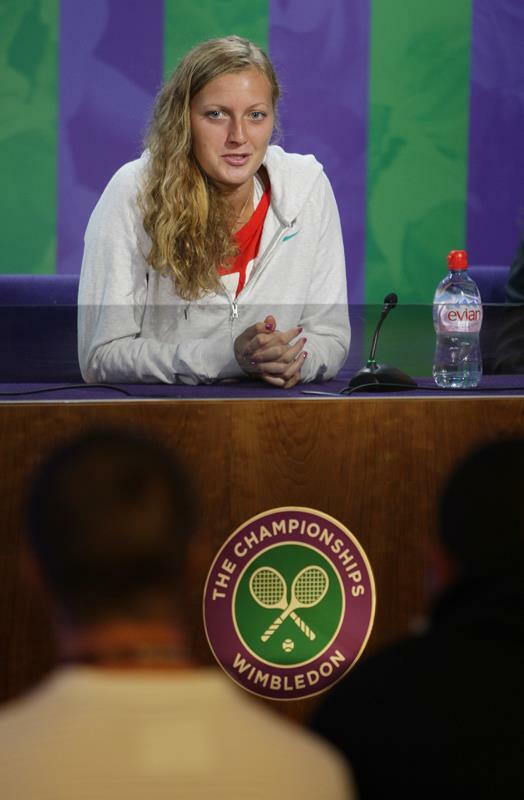 "I think for me it's very nice to have them here for the first match as the defending champion. For them it's I think honour, too, because my father was my coach until my 16. They travel with me a lot, so for them it's very nice, for sure", world Nº4 said on her Sunday press-conference. 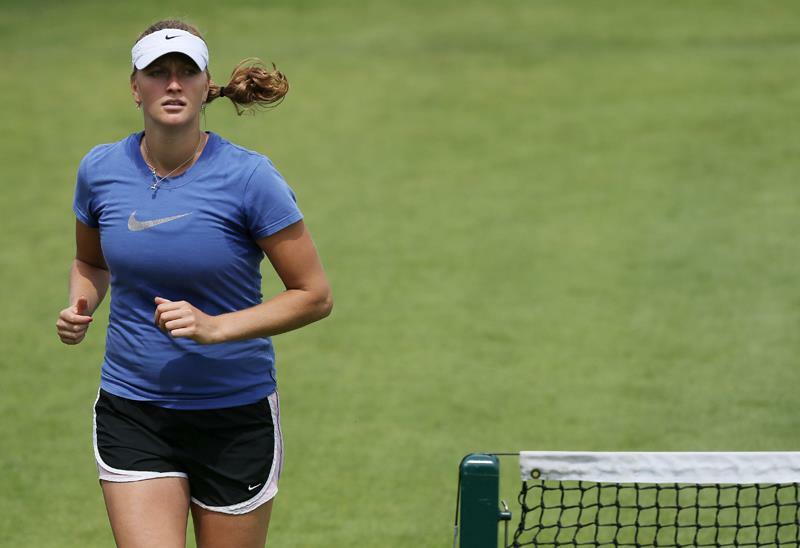 The Czech feels "honoured" to be a Wimbledon's champion and admits that there is some "pressure" for 2012 Championships. "I will try to not thinking about when I will be on the court and try to thinking about the points and about the match", she added. Kvitová played warm-up grass tournament Aegon Championships in Eastbourne and lost her first round match to Ekaterina Makarova.